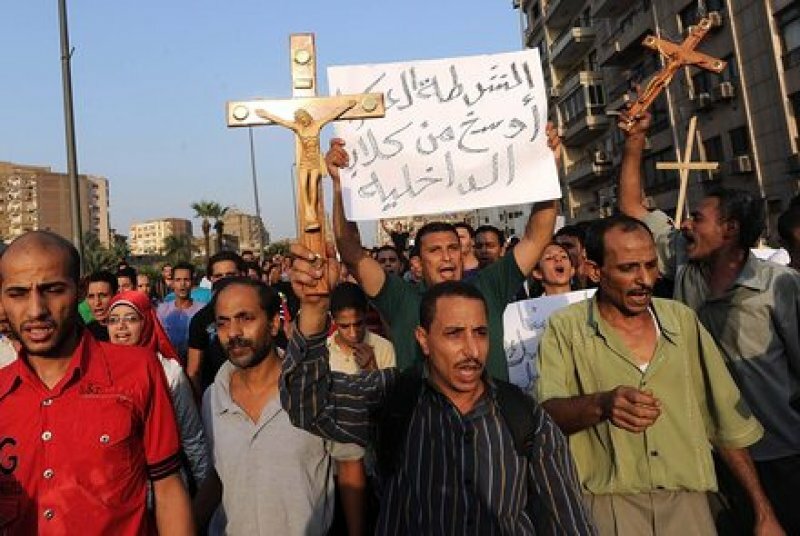 The Coptic minority is being targeted by local cells of the Islamic state. The murder took place yesterday in Al-Arich. The man's house was set on fire. Previously a 60 year old Christian and son were killed; the young man was burnt alive. Daesh announces new attacks on social networks. Cairo (AsiaNews / Agencies) - An Egyptian Coptic Christian was killed yesterday and his house was set on fire in the north of the Sinai Peninsula. A jihadist cell linked to the Islamic State (SI) claimed the murder the same cell implicated in past attacks against Christians. This is the third victim in two days for the local Coptic community. On February 19, in a video posted on the Telegram messaging site, the Islamic State had promised to strike the Christian community. And the attacks have not been long in coming. On February 22, the authorities found the bullet-riddled body of a Christian about 60; his son died with him also, burned alive by jihadists. The authorities h found the body of the young man at dawn, in the backyard of a school of Al-Arich. Yesterday the third victim in just two days: a Christian of 40, was found lifeless, killed by a gunshot to the head, on the roof of his home. After killing him, the terrorists set fire his house on fire. Yesterday’s murder also happened in Al-Arich, the capital of North Sinai Governorate. Investigators have now focused their attention on the jihadist track, and it was later confirmed by Daesh militiamen [Arabic acronym for the Islamic state] in the region. Earlier, on February 12 in Al-Arich, some masked men on a motorcycle gunned down a Christian veterinarian, while he was at the wheel of his own car. In late January, a Christian officer was killed by a group of armed men; the identity of the attackers is still unknown, in this case. Since the military coup of 2013, which put an end to the presidency of Mohamed Morsi and overthrew the government of the Muslim Brotherhood, the northern Sinai has been the scene of bloody attacks perpetrated by militiamen jihadists. Most often the attacks are concentrated against army units, police, security officials. However, the attacks have not spared the Christian Coptic minority. Among these, the most serious was the suicide bombing on 11 December against a Coptic Orthodox church in Cairo, which caused 29 victims. In the past, al Qaeda had set its sights on the Coptic Christians. In particular, in 2010 the local cell of the terror network led by Osama bin Laden had promised the "cleansing" of Christians from the Sinai region. Threats that came to fruition on the night of New Year's Day 2011, when a car bomb exploded in front of a Coptic church, killing 29 people. North Sinai, the stories of the Copts fleeing ISIS: Egypt intervened "too late"